a. Many people couldn't earn enough money to have decent living conditions. b. Many violent strikes occurred because of low wages and unsafe working conditions for most urban workers. c. Thousands of farmers went bankrupt or became tenant farmers. d. Serious crime and disease were common in crowded neighborhoods in big cities. e. Government at the local, state, and federal level was corrupt. The depression of 1893 changed the attitude of middle-class people about poverty because they noticed that not only people who were lazy or unfit but also middle-class people could lose their jobs. a. William Jennings Bryan, a Democratic candidate, made hundreds of speeches about the economic problems many people had during his election campaign of 1896.
b. Books and magazines described the problems caused by corruption or unfair practices regularly. a. The unhealthy way meat was processed and packaged. b. The terrible lives of the workers in Chicago meatpacking industry. c. How local political corruption allowed these unsafe practices to be continued. People thought that government should not change because they believed the government was based on Christian moral values that should always be the same. People thought that government should change because only a small number of wealthy businessmen were controlling the lives of millions of other people. According to Darwin's theory of evolution, some plants and animals were better able to survive changes in their environment because they made changes themselves as their environment changed. The years from 1900 to 1916 were called the Progressive Era because changes in people's attitudes produced gradual changes in how government helped citizens. a. The relief improvements to improve the standard of living for poor people. b. The regulation improvements to make elections more honest and fair. Progressives believed that solving the problems needed government action. Middle-class women and well-educated, young women from wealthy families were most responsible for starting progressive improvements. Most Progressives wanted to solve America's problems by making business practices honest and fair. Socialism is a form of government that the farmers, workers, and government officials own or control most of the economy. The most well-known socialist in the U.S. was Eugene Debs who formed the American Railway Union. Middle-class people became concerned with the problems of poor neighborhoods because of the spread of diseases. a. Many families couldn't afford milk for their children. b. Mothers who worked did not often have any place to leave their children. c. Women worked long hours in dangerous conditions and young children worked instead of attending school. Settlement housing offered services to help poor people's medical problems and to help find jobs, recreation, and food and clothing. Jane Addams and Ellen Gates Starr started settlement houses in America. Jane Addams received the Nobel Peace Prize. Settlement-house workers tried to help women and children by pressuring government to start a special court for young people, to start kindergartens, vocational education classes, and special classes for immigrant children, and to build playgrounds and parks and garbage collection service in crowded neighborhoods. City governments were corrupted because politicians often took bribes from companies that did business with the city government. Patronage system is a way to hire people for city government jobs because of their friendship with politicians not because of their ability. Political bosses helped immigrants and poor people to find their jobs or place to live to get votes from them in return. Boss Tweed used city government corruption to become rich by requiring all city employees to overcharge the city on all construction jobs. Middle-class people became more involved in local politics by sponsoring candidates who were often called "good government" candidates. Mayor Thomas Johnson was considered a good government candidate because he held public meetings for citizens to present their problems to government officials. Mayor Samuel Jones was also a good candidate because he set up free kindergartens and playgrounds and made the police give up their heavy clubs for lighter sticks and stop the practice of jailing people without charging them with a crime. In an "at large election", candidates for city offices were elected from the city as a whole and not from just small neighborhoods. This helped elect more good government candidates and fewer city bosses. In the city manager plan, the city council was elected by the people, but the council had to appoint a trained person to be in charge of city employees and their work. This person was called the city manager. The city manager would hire people based on their ability to do their job rather than on their friendship with a politician, which made it more difficult to corrupt a city. Progressives were more successful in improving government in small and middle-sized cities than in large cities because political bosses had too much support from city workers and immigrants in larger cities. Progressives realized that many of the problems at the local level were affected by state laws, which is why they began to work at a state level. 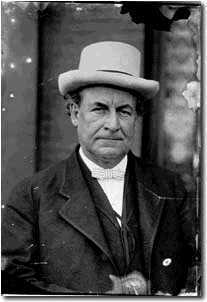 1913 - Thomas Mott Osborn successfully led a campaign to improve the New York prison system. 1830 - children were not required to attend school. Progressives thought it was important for all children to have some schooling so they could get better jobs. Many states began passing laws requiring children under a certain age to attend school. At the same time laws were being passed that prevented young children from working in factories. Between 1870 and 1910, the number of students attending public school grew from 7 million to nearly 18 million. Endow means to invest money and use the income from that investment to pay many of the school's expenses. Many wealthy businessmen and railroad men endowed colleges to meet the increased need for adequate workers. Early 1900s, colleges were not exclusive just to children of the wealthy. a. Children were paid very low wages. b. They often worked in very bad conditions, very dangerous and unhealthy. a. Prohibited hiring children under the age of 14 to work in factories. b. Prohibited children from doing dangerous work or working at night. c. Limited how many hours children could work. d. Required safety inspections if children worked in factories or mines. These reforms didn't cover children who worked in the food-production industries, in the fields, or canning factories. So child labor remained common in the states, especially in states that had large agricultural economies. a. There was not adequate money to hire enough state inspectors. State legislatures were often controlled by people representing the interests of big business. In a few states, regulations were passed that restricted the number of hours adult workers were allowed to work at certain jobs. State legislatures were often controlled by people representing the interests of big businesses. In a direct primary, the people who belong to a political party elect the local and state-level candidates for their party. Before the direct primary was used, political bosses usually decided who would be the candidates in an election. The direct primary increased fairness because it gave everyone a chance to vote fairly, without the influence of political bosses. The initiative allowed ordinary people to propose legislation. Before the initiative was allowed, only the state legislators were able to propose new laws. The initiative increased fairness because the people have more power to propose the laws they want. Referendum lets the people vote on whether to approve a new law. When the legislature passes a law, the time from when the law is passed to when the law goes into effect people can ask if the new law can be voted on by the people. If 10% of the people sign the request, then a referendum is held. The referendum increases fairness because it gives all the people a chance to vote on the law. Recall allows voters to remove politicians from office before their elected term is over. The recall increases fairness because it allows the people to remove a politician if they believe he had been doing something illegal or has done something voters do not like. Political bosses limited the effectiveness of the direct primary by getting the candidate they wanted elected in the primary election by giving him all the party's money for newspaper coverage and campaign signs. The problems that limited the referendum, recall, and initiative were: Progressives had difficulty getting enough people to be aware of the problems and sustaining interest until all of the signatures were gathered and the vote was taken. a. Got rid of corrupt politicians, who got him elected. b. Helped enact the direct primary, initiative, and referendum. La Follette supported Progressives who pressured the legislature to pass laws for recalling elected officials, placing limits on how much money politicians could spend for elections, and forbidding corrupt election practices such as paying for votes. La Follette also took the lead in making railroads and timber companies pay taxes. He passed legislation that required people who wanted state government jobs to take a test for the job. Political parties try to solve problems that are common to most people in the party. This means that many groups in a political party will not get their particular problem solved. In 1854, Republican party was started. c. The people who supported the Democrats were those who were rejected by the wealthy, high class of the Republicans. Laissez faire is a policy in which the government does not regulate how businesses operate. a. Big businesses did not want laws that would make them spend money to help solve the problems of the poor or that would regulate their businesses. b. Many people believed government shouldn't interfere in the lives of people. c. Federal laws were compromises between legislators from across the nation who often had different ideas about what laws should do. The similarity between Republicans and Democrats was they both agreed that government should not try to regulate businesses. In 1898, Roosevelt became a national hero as a leader of the cavalry unit in the Spanish American War. Roosevelt decided to regulate the abuses of big business. He believed that problems caused by big business were leading more people to socialism. In 1902, coal miners were on strike, this was the first time President Roosevelt interfered with big business. The owners of the coal mines closed the mines down due to the lack of workers who were on strike. Roosevelt told the owners of the mines that if they did not reopen he would send in federal troops. The mine owners, knowing the people needed coal and would support Roosevelt, gave in to the striking miners, reopening the mines and giving the workers a 10% raise, reducing their work day to 9 hours. Later, Roosevelt referred to this kind of settlement as a "square deal." Roosevelt's action marked an important turning point for the federal government, it was the first time the federal government had acted as a mediator in a labor strike. Roosevelt and Congress regulated the railroads by forming the Elkins Act, which made the railroads publish their rates and which fined railroads and shippers who received rebates. Roosevelt helped put an end to monopolies that hurt consumers. He either made them accommodate, or closed them down. b. Big business owners - they realized that Roosevelt generally supported the growth of big business as long as workers received reasonable wages. a. Several new justices were appointed to the Supreme court as old justices left the Court. b. The new justices believed that government should regulate big business abuse and supported Roosevelt. a. People became worried that the rapid timber cutting and mining would eventually use up these natural resources. b. Roosevelt added 150 million acres to the national forests and established 53 wildlife refuges. c. He also tried to use inspectors to make sure that timber and mining companies didn't do serious damage to the environment. Roosevelt didn't run for president in the election of 1908 because it had become a custom that no President would serve longer than the first president, George Washington. Roosevelt picked up William Taft to run for President because he felt Taft would continue the progressive reforms. Taft was one of his cabinet members. Taft carried on the work of Theodore Roosevelt by continuing the policy of correcting abuses while helping business grow. In 1910, Roosevelt returned from his 2 year visit to Africa and saw that Progressive reformers were angry with Taft. In 1912, Roosevelt decided to run for President again because he and many of the Progressives were angry with Taft's actions. Wilson won the election, and enough democratic congressmen were elected to give the Democrats control of the House of Representatives and the Senate. In 1913, the Underwood Tariff Act was first reformed. This act provided the first real lowering of tariffs since the Civil War, which made imported products cheaper, which helped the consumer greatly. Income tax was included as part of the Underwood Tariff Act because when the prices of imported goods was lowered, the government received less money in taxes. To replace this money, the government collected income tax. In 1912, The right of the federal government to collect income tax was officially approved by the passage of the 16th Amendment. In 1914, Wilson convinced Congress to pass the Clayton Act. Price discrimination is charging different prices to different customers. The Clayton Act made price discrimination illegal. Without price discrimination, businesses could not control stores with higher and lower pricing. The Clayton Act was important for unions because it stated that labor unions could not be considered monopolies and the Sherman Antitrust Act could not be used to declare strikes illegal. The Federal Trade Commission (FTC) started by Wilson in addition to the Clayton Act. The job of the FTC was to prevent unfair trade prices that reduced competition. The FTC had the power to investigate companies and order them to immediately stop any illegal practice. Events in Europe in 1916 made it seem that America would soon be drawn to the war in Europe. Federal Reserve Act decreased the control New York City bankers had over interest rates and who received loans. It made credit more available all around the country by creating a national banking system. Under this new Act, the government controlled interest rates. This amendment established the direct election of senators. It made the government fairer because it required that senators be elected by people in the state rather than appointed by the state legislatures.